You deserve an IT Service Provider Who Brings More to the Table! See how LA's premiere IT Service Provider acts as a true business partner to help you take control of your IT and turn it into your organization's greatest competitive advantage. Our driving purpose is to deliver "IT The Way It's Supposed To Be!" removing your worry and freeing you up to do what you do best - growing your business! At FPA, "Take Care of the Client" is Core Value #1. We will do everything in our power to ensure you are well taken care of. If you’re looking for a trusted advisor and a true IT partner, look no further. ARE YOU LOOKING FOR YOUR IT PROBLEMS TO GO AWAY? “We focus on your IT, so you can focus on your business!” Let our team worry about your IT issues so that you can sleep again at night without any worry. With our ability to “dial in” our clients’ networks, we bring the ongoing costs of IT support down over the long haul. We look at our clients’ networks holistically. This means cybersecurity isn’t an afterthought, but rather a key component of our overall strategy. We address our clients’ security needs including assessments, training, forensic discovery, social engineering, encryption, and much more! We believe in a highly proactive approach to running our clients’ IT. Because of our systems, processes, methodologies and toolsets, we're able to provide an enterprise level IT service delivering improved stability at a fraction of the cost. Our Service Delivery team is focused and ready to respond when our clients need us. We’re organized structurally with a dedicated remote Help Desk team, a dedicated onsite team, and dedicated set of vCIOs all working with a sense of urgency that a single, in-house IT person just can’t match. Because we’re more proactive, your systems perform better. Our tools give us the ability to see trends and improve performance before you or your users feel anything. Degradation is a thing of the past. Our project team, project management, and project toolkits are all second to none. We take the time to accurately scope projects so that we can deliver them with fixed fee budgets so that you don’t have to worry about overages. Another way we remove the worry from IT for you. We believe in Client Happiness. So much so, we benchmark and request feedback after every remote ticket, onsite visit, and project. We utilize the Net Promoter Score to make sure we stay on top of our client relationships. We like to say we’re in the relationship business while happening to be a technology company. ARE YOU ABLE TO LEVERAGE THIS LEVEL OF EXPERIENCE? ARE YOU ABLE TO LEVERAGE EXPERTISE FOR YOUR SPECIFIC BUSINESS? Our experience and knowledge provides us with a unique perspective and intimate understanding of the demands of your specific business. This strength allows us to add value above and beyond just IT to allow FPA to be truly one of your key, trusted advisors. We have seasoned professional CIOs providing strategic planning and budgeting to ensure you’re never reacting to unknown situations or expenses. We take a holistic approach to running your IT while providing the strategic vision necessary to help you navigate your growth path. We proactively manage all of your computer systems for your organization. 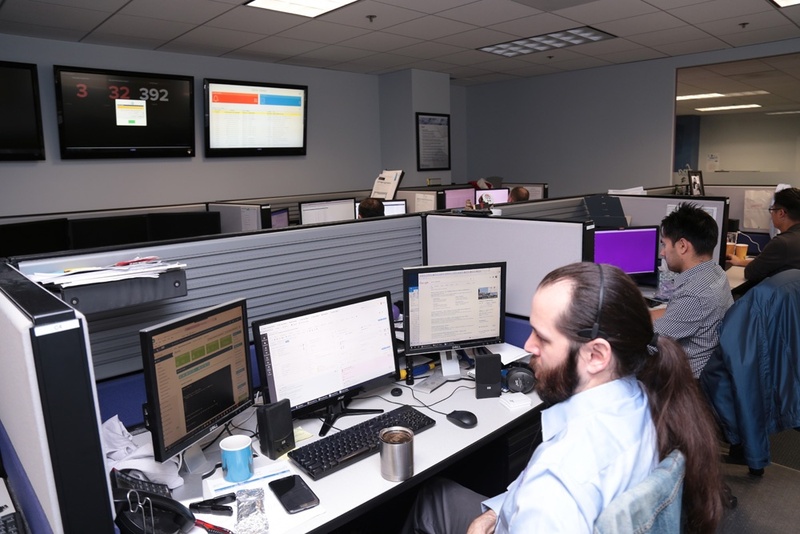 Our experienced and certified professionals proactively monitor your systems, respond and address alerts, and regularly patch and update your systems all to ensure your systems are up and running at all times. Our fully staffed support center provides remote Help Desk support for all of your end-user requests. Our staff literally love to support and troubleshoot desktop issues. Whether you’re fully in the cloud now, partially, or want to be – we can help! We know one size does not fit all. We know all of the ins and outs of running IT both on premise and in the cloud, so the right answer is whatever makes the most sense for your business. And we can help you get there. Cyber security isn’t just the latest buzzword. It’s a mission critical approach to how you approach technology from start to finish. With our CISSP and SOC services, we’re all about securing your technology. We provide a reliable and cost effective backup and business continuity solution so effective that you'll never have to worry about losing your information or access to your critical systems again. Our solution is fast, reliable, comprehensive, secure, and most importantly highly cost effective.